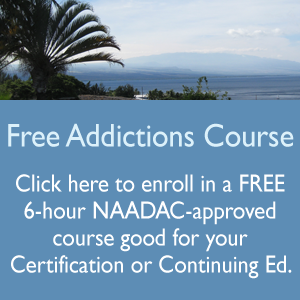 The new addictions course available on-line at PAHA is “Guided Imagery, Mindfulness, and Meditation”. This is an 6-hour course that is available at our on-line training center anytime at http://substanceabusecounselortraining.com which covers the topic of Guided Imagery, Mindfulness, and Meditation with a specific substance abuse focus for Nurses, Counselors, and other Health Professionals. Stress and the Body including Stress and the immune system, Stress and cancer, and Stress, personality, and heart disease. I am interested in any CDs you have on guided imagery for substance abuse recovery. I plan to use the CD to mak eothers aware of your approach to addiction recovery. Thanks! Sorry we do not have any CDs at the moment but it is a great idea that I will take to heart.